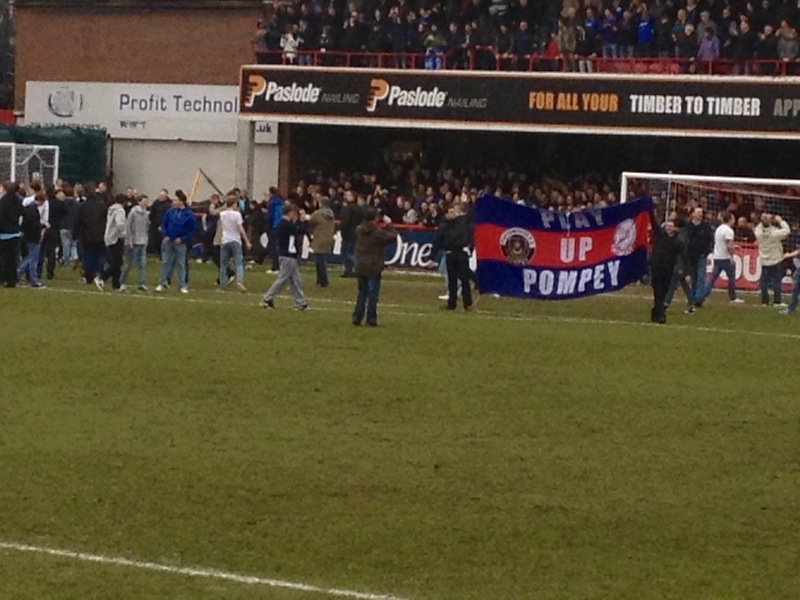 The behaviour of the Portsmouth fans was not impressive today. They arrived at the game knowing that the Supporters trust would most likely be able to buy the club and essentially they could consider themselves as shareholders. They were in good voice but then their chanting became foul mouthed and abusive for no good reason. 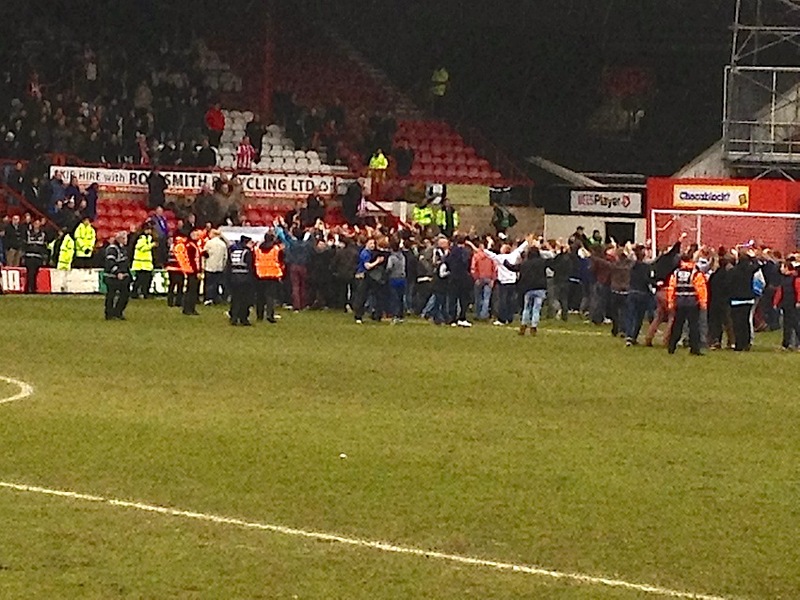 At the end of the game they invaded the pitch and some then went on to start fighting. Just to put this simply, they are the worst set of fans that I have personally seen in League 1 for many years and no doubt will continue to grace League 2 next season. The sympathies I held for them have vanished totally. As a neutral who has had season tickets at both Brentford and Portsmouth I was astonished by the eye popping aggression shown in the Bill Axbey stand to a few Pompey fans who quite legitimately had bought tickets before the game was made all ticket. First was when a Dad with his young son on his lap cheered Pompey’s first goal, then to three guys in their late 50s who made the mistake of cheering Pompey. Nothing provocative but a load of hysterical Bees fans bravely had a go at four guys who clearly were no trouble and traumatised a four year old. Absolutely pathetic.